One of the magical benefits of staying on-site at a Walt Disney World Resort hotel is not having to worry about getting there. 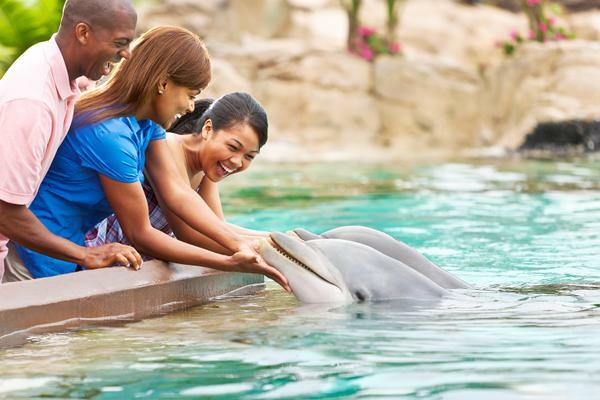 Especially if you're making a first visit, you've got enough to think about in planning your theme park vacation. So sit back and let Disney do the driving with Disney's Magical Express! This complimentary round-trip airport transportation and luggage delivery service is for guests of Walt Disney World Resort hotels. Here is an overview of Disney's Magic Express as well as a few pros and cons of using the service. 1. 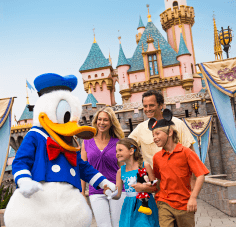 Reserve Disney's Magical Express transportation by calling 407-939-1936 (0800 16 90 730 if calling from the UK). Reservations must be made at least 10 days prior to arrival. It is recommended that you make your reservation at least 30 days in advance. You will receive special luggage tags in the mail two to three weeks in advance that should be attached to your luggage before checking in at your departure airport. 2. Upon landing at Orlando International Airport, skip baggage claim and proceed to the Disney's Magical Express Welcome Center in the Main Terminal Building, B side, Level 1. Disney's Magical Express will collect your luggage and delivery it directly to your Walt Disney World hotel room within three hours after you check in at the resort. The luggage delivery service is available for flights arriving between 5 a.m. and 10 p.m. daily. If your arrival is not during that time, you must collect our luggage at baggage claim and transport it with you on the motorcoach. International guests: If you are flying into Orlando International Airport from another country, you will need to claim your luggage and then proceed through customs. You can then return your luggage to the baggage carousel for Disney's Magical Express to collect if you arrive between 5 a.m. and 10 p.m. or you can bring it with you to Disney's Magical Express Welcome Center. Do not pack your MagicBands in checked luggage! You will use your MagicBands to check in with Disney's Magical Express and to unlock your room when you arrive at your Disney Resort hotel. 3. 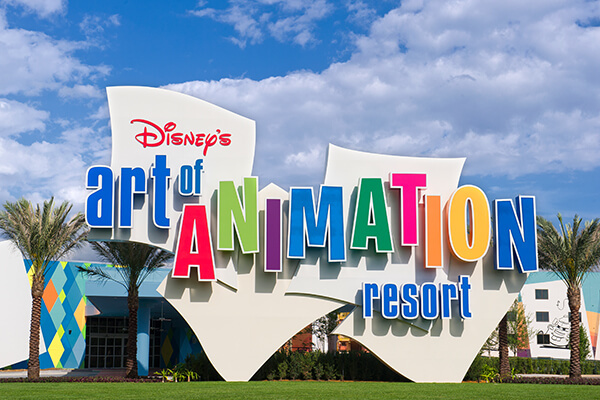 Near the end of your Disney vacation, you will receive a Transportation Notice advising you of the pick-up time and place for your motorcoach ride back to Orlando International Airport. It is your responsibility to bring your luggage to the pick-up point. Transportation is scheduled approximately three hours prior to your flight departure time for domestic flights and four hours prior to international flights. 1. If you are departing domestically on a designated airline, you can take advantage of the Resort Airline Check-In Service. This allows you to receive your return boarding pass and check luggage at your Walt Disney World hotel, bypassing airport check-in completely. 2. Visit the Resort Airline Check-In Desk at your Walt Disney World hotel up to three hours prior to your flight departure time. 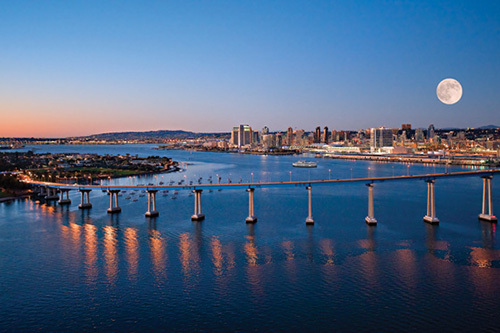 A valid government issued ID and your hotel room key are required to participate. 3. Resort Airline Check-In Service is available for: Alaska Airlines, American Airlines, Delta Air Lines (domestic flights only), JetBlue Airways, Southwest Airlines and United Airlines. 2. 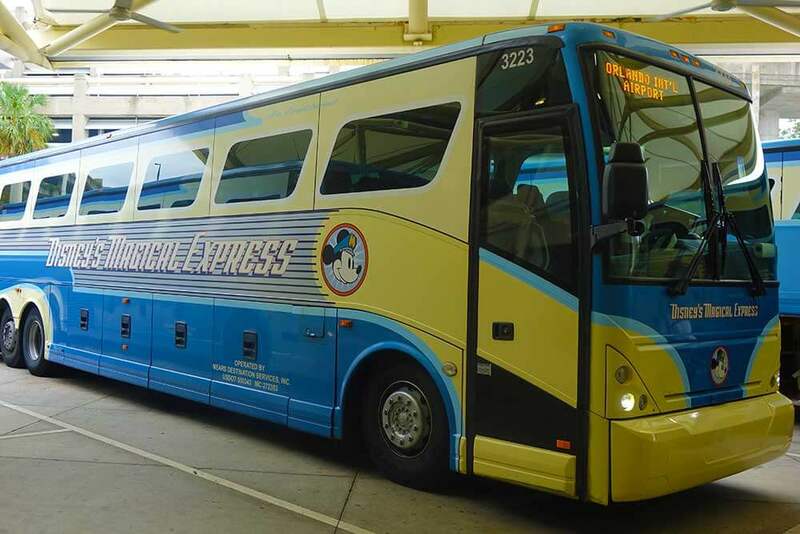 If you are planning to use complimentary theme park transportation, Disney's Magical Express eliminates the need to hire a car or shuttle to take you to your hotel and back to the airport at the end of your vacation. 3. Once you arrive at your hotel, you can head directly to the parks instead of fussing with your luggage. They will be delivered to your room. 4. You do not have to use the luggage tags and have Disney's Magical Express deliver your bags to your room. You can take them with you on the motorcoach. 5. If you are traveling with kids, there is much less to worry about upon landing. 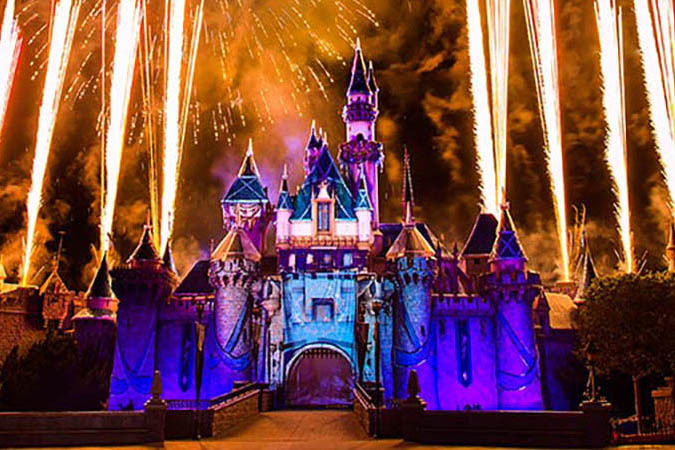 Just get off the plane and head to Disney's Magical Express Welcome Center. 1. 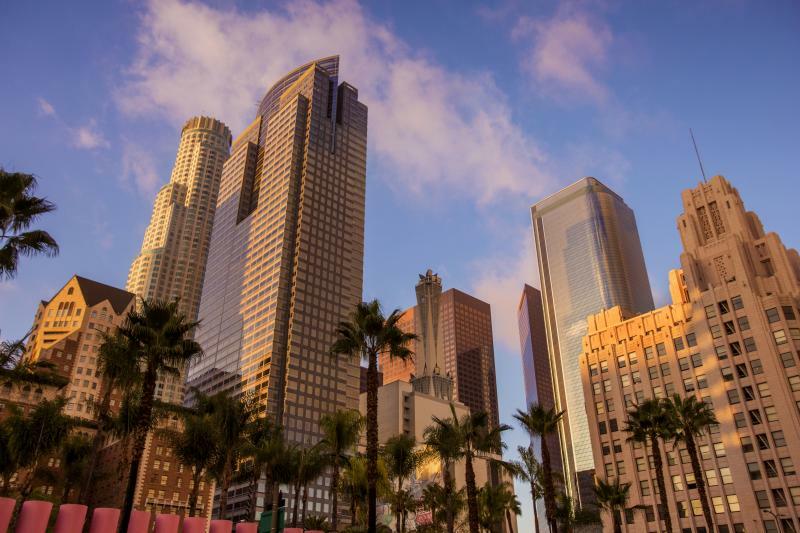 You will need to bring a carry-on bag with necessities and a change of clothes for everyone. There are circumstances when luggage delivery is delayed and after a long flight, you'll probably want to be able to freshen up. 2. Disney suggests the trip from Orlando International to the Disney Resorts takes between 45 to 75 minutes. In reality, the trip is closer to 90 minutes. 3. Your scheduled return trip to the airport at the end of your vacation on Disney's Magical Express is non-negotiable. If you miss your pick-up time, there is a good chance you will not make your flight with the next bus and will have to arrange for other transportation. 4. Disney's Magical Express makes more than one stop on each trip. 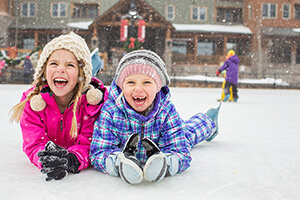 Depending on what resort you are staying at, you may be the first drop off or the last. The same goes for the ride back to the airport. 5. There are times when it makes more sense to rent a car. It is more convenient and sometimes more economical to rent a car, especially if you are visiting multiple theme parks. Have you used Disney's Magical Express? Would you recommend it to others? Tell us about your experience. 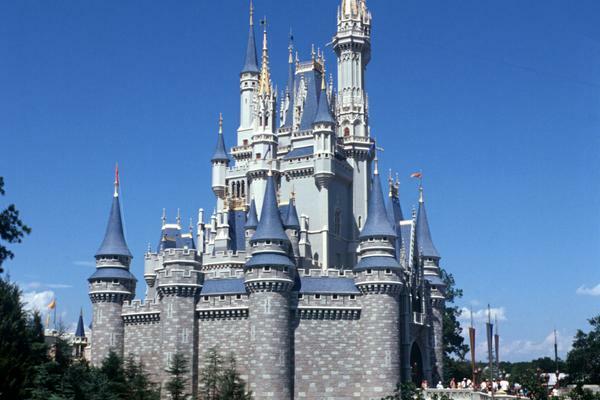 Want to know all the benefits of staying at a Walt Disney World Resort Hotel? Check them out and pick the right hotel for your family using our handy hotel comparison matrix! So I just read of these about the DME and to clarify. I can go straight to the bus with my carry on stuff and not go to baggage claim OR I can go grab my suitcase in baggage claim and then go to the bus? And when I know MCO and the resorts are 30 minutes apart so I should consider it may take another after we get there before we can get to the Value Resort? Do they deliver guest to the higher priced places first? Just need clarity I am considering Uber. If arriving to MCO prior to 10 p.m., you can bypass Baggage Claim and head straight to the bus (just make sure you have your MagicBands with you)! Alternatively, you can opt to grab your own luggage from Baggage Claim if you don't want to have Disney deliver it directly later, and can bring it directly to the bus. If you are arriving from 10 p.m. - 5 a.m., you'll need to grab your baggage from Baggage Claim before heading to DME. As you noted, some buses do service more than one resort, so it can take some time to get from the airport to your resort (anywhere from 30-120 minutes for the total journey), and it can take up to 3 hours for your luggage to be delivered at your resort. If time is of the essence for you, Uber is a good idea. Our flight leaves very late on our last night. Are we able to check our bags early and spend the morning/early afternoon at a park or Disney Springs before we have to be on the DME to the airport? Yes! 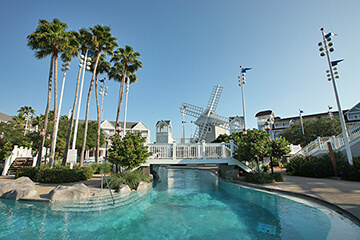 You can leave your bags at your hotel and spend the day at a park or Disney Springs. Be aware that if you have any special circumstances, like Southwest has branded you a customer of size and you get the extra seat card, you cannot use the Airline Check-In at the resort. It's not a Disney thing, but either the airline or TSA. Just a tip based on my experience in June this year: Disney will leave a note on your final day with confirmation of your check out the following day. Mine didn't say a time so on my return from the EPCOT that night, I stopped by reception to find out what time I should arrive. I was stopped short of the desk however by a Brazilian cast member who said I didn't need to confirm my time, I should just show up. Like a fool, I believed her and went back to my room. I'm sure it was an innocent mistake but it ruined everything. The next day when I lugged my bags to the bell hop, I ran it by them to confirm if this was true. I was heading to Disney Springs for a final meal and would return in about an hour. The look on the bell hop's face said it all. I was absolutely told the wrong thing. Thankfully, there was a spot on the bus at my latest leaving time. Absolutely make sure you have a time allocated to you. Frustratingly, I ended up missing it after all that fuss because two very rude, self-absorbed guests delayed the bus I needed to get back to my resort. I missed the express by a good 10 minutes because of their behaviour. I was told I would have to get a taxi. Being an international tourist by myself, this was extremely stressful and I was almost in tears in the lobby. The angel at reception very kindly gave me a slip of paper to pay for a taxi directly to the airport because the next DME wouldn't get me there in time. Thankfully a taxi was pulling in at that very moment so I made it to the airport in time. Don't do what I did. If you intend to go to a park or Disney Springs before departing, allow more than enough time to do so. Don't bank on the last bus. If we pack overnight supplies in our carry on. And are arriving after 10pm. Can we expect our luggage to be delivered the next day? Or do we have to pick up our luggage regardless of that plan? You must pick up your own luggage if arriving after 10PM. Return-only DME reservations can be made in the online form provided at https://disneyworld.disney.go.com/airport-transportation-reservation/ as long as you have your flight information and hotel reservation number handy. Disney's Magical Express is a very structured process, so we recommend letting Disney know this ahead of time. We're sure it won't be a problem to only take it one way! My family has been to Disney World 5 times and used DME each time. From touchdown in MCO, to entering a park is about 2 hours. If I could shave 30-60 minutes from that time, it would be worth renting a car for me. 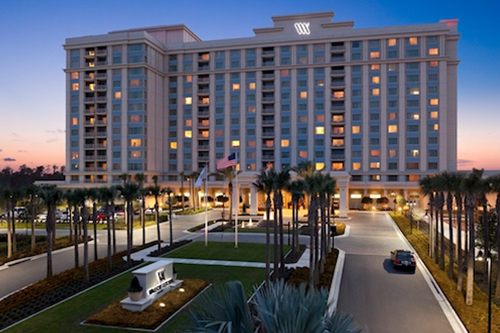 The return trip to MCO at the end of the trip is so easy with the resort airport check-in. 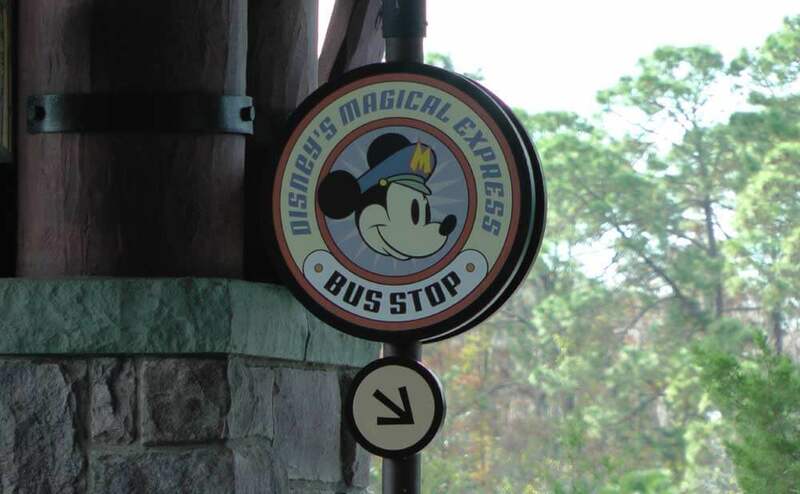 Did you know that you can get off the very first stop on Disney's Magical Express bus service? If you have no luggage, then get off the very first drop off and catch a disney bus to the parks or disney springs. I verified this with Disney Mom's panel and called Disney Express and they both agreed that you can do this. 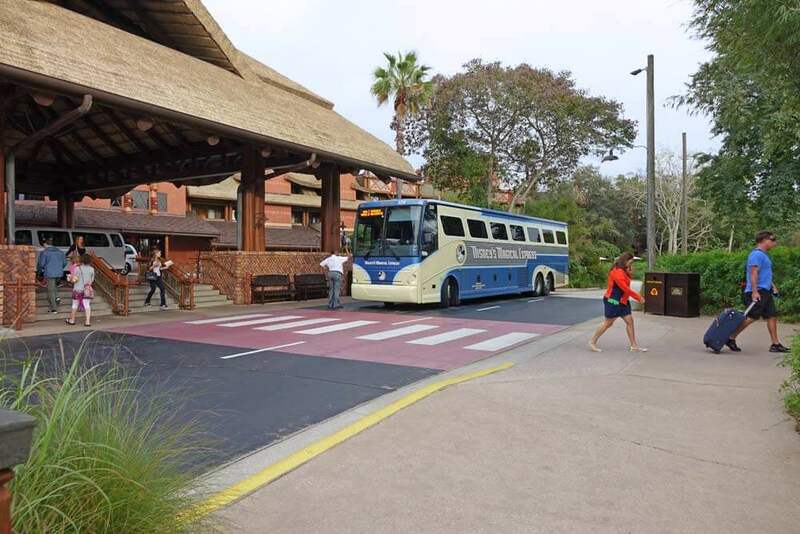 However, you cannot grab just any bus at MCO, it must be the bus going to your resort. Good tip if it can get you to a park sooner! 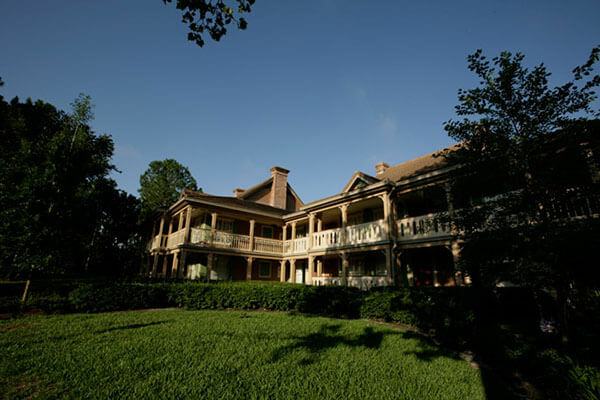 Traveling to the french quarter resort, which stop is it? Has anyone use the service past 10PM? will the bus wait for you to get your luggage ? Travelling in from LAX, after a flight from Australia. is there another way to book this transfer without making a call ? Wayne, I believe that you can request Disney's Magical Express through My Disney Experience. Please check the Walt Disney World web site to verify that this will work for you. The only way to make Disney's Magical Express reservations is through 407-939-6244. DME reservations can be made online at https://disneyworld.disney.go.com/airport-transportation-reservation/ once you have your flight information and Disney hotel reservation number. Hi we are staying a Carribean beach resort how many stops until we get to the hotel? Im intending to make a disney resort reservation with undercovertourist, but i could not find the option to reserve a seat with Magical Express during checkout. Any advice please? Please call Disney at 407-939-6244 to make these reservations. Hi, staying at Coronado springs in June travelling from the UK and using DME bus. Any idea how the journey will be? heard it could be 90 minutes which after flying almost nine hours doesn't sound great. Also can you tell me if we need to take more than one bus to the parks/waterparks. Not sure if early Magic hour will be worth it if travelling for an hour before?? I would not expect the trip to be 90 minutes. I'm sure it has happened, especially with traffic, but that would not be the norm. The buses do usually drop off to several hotels, so if you're not the first stop, you will have a longer wait. You will have direct bus service to the parks and hotel. Thank you, Undercover Tourist has made planning our holiday so easy ???? On Jan 26 to the 31st, we have a cruise and stay at a Disney hotel. Almost every Disney cast member we met where excellent. But we want to mention the best of all: Reuben Shaw. He was the driver of the bus that took us to the airport. He was incredible. Good sense of humor, great with the travelers and for us was the best ride ever back to the airport from any place in Disney. Thanks Reuben. 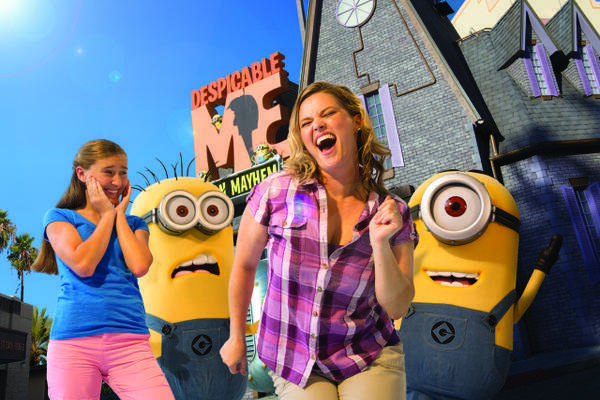 Hope to see you at our next trip to Disney in Orlando. We had our first experience with DME last month. Overall we were pleased. I did not expect to wait in line at the airport. When we got in the line for Port Orleans Riverside we stood there about 20 minutes which seems like eternity when you want to get to WDW. I guess I expected to walk right on a bus and be whisked away but I know thatis a little unrealistic. If you are going to Port Orleans Riverside then know that you will be the 4th stop. However, I don't think the ride itself took 90 min. It was more like 45 min. They pales classic cartoons so it was enjoyable. We had friends with us but they were staying at French Quarter. Just know the French Quarter uses a different DME bus. Not sure why but we were separated into different boarding lines.